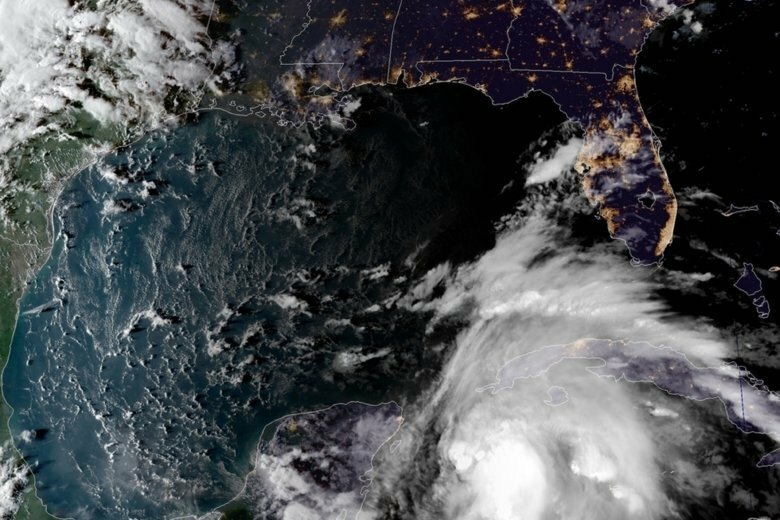 The National Hurricane Center in Miami says Michael is packing top sustained winds of 60 mph (95 kph) and is about 105 miles (170 kilometers) east-southeast of Cozumel, Mexico. The storm was about 140 miles (230 kilometers) south-southwest of the western tip of Cuba as of Sunday evening. The storm is headed north at 5 mph (7 kph) and forecasters say Michael should become a hurricane in the next few days. It’s a on track expected to move over the eastern Gulf of Mexico late Monday through Tuesday night and approach the northeast U.S. Gulf Coast on Wednesday. Forecasters are calling on Florida Gulf Coast residents to monitor the storm’s approach, warning of the possibility of storm surge, heavy rains and dangerous winds as it approaches the U.S. Southeast. Florida Gov. Rick Scott says a tropical storm heading for the Florida Panhandle could become a Category 2 hurricane by the time it makes landfall in the middle of the week. Scott said Sunday that he had issued an order for a state of emergency for 26 counties in the Florida Panhandle and the Big Bend area. He says winds in those areas could reach more than 100 mph (160 kph). The U.S. National Hurricane Center on Sunday upgraded Michael from a tropical depression to a named tropical storm, saying Michael had winds of up to 50 mph (85 kph). The storm could strengthen into a hurricane by Monday night or Tuesday as its center moves over the Yucatan Channel, crosses the Gulf of Mexico and nears the Florida Panhandle coast sometime Wednesday. The U.S. National Hurricane Center says newly named Tropical Storm Michael could strengthen to a hurricane as it heads to the Florida Panhandle. The hurricane center on Sunday upgraded the tropical depression in the Caribbean to a named tropical storm, saying it had winds of up to 40 mph (65 kph). The hurricane center advised residents along the northeastern and central U.S. Gulf Coast to monitor the storm’s progress. A tropical storm warning was in effect for the Cuban provinces of Pinar del Rio and the Isle of Youth as well as the coast of Mexico from Tulum to Cabo Catoche. The U.S. National Hurricane Center in Miami said Sunday that the tropical depression could strengthen into a hurricane by Tuesday night or Wednesday. The storm was about 100 miles (165 kilometers) northeast of Chetumal, Mexico early Sunday, and it was moving toward the north at about 3 mph (4.8 kph) with maximum sustained winds at 35 mph (56.3 kph).